In the last few months there has been a shift in my view on life. Or my approach to it. Iâ€™m not sure what caused this shift. But suddenly Iâ€™m thinking about fitness. Longevity. Human ability. This newâ€¦ fascination led me to www.NerdFitness.com. A fantastic site, put together by a fellow geek Steve Kamb (@SteveKamb on twitter for those interested). He has spent years transforming himself from the stereotypical geek to a fit, healthy and active adventurer. NerdFitness is his legacy and his war cry. On the site, other nerds and geeks get information on fitness, health, exercise, motivation, productivity, all in a context they can instantly relate to. For someone like myself, who has numerous times started a â€œcharacter sheetâ€ to represent my own skills and abilities, this site instantly spoke to me. Especially the tag line: â€œLevel up your lifeâ€. This is exactly what I had been trying to do, or what I had just started doing. I quickly found myself with tab after tab open in my browser, each one an article on working out, staying motivated, eating properly, how to deal with every day crap. Then I found â€œHow to become a super hero in 4 easy stepsâ€œ. After reading this aticle I realised a few things. Firstly, I could be a super hero. To some extent. I could be the hero I wanted to be. The hero I wanted my son to see me as. Secondly, I didnâ€™t need to define my hero, I didnâ€™t need to figure out my super powers, my costume, name, theme song. I already knew it all. It was simple, and will come as no surprise to anyone that knows me. I want to be Spider-Man. There are only three characters Iâ€™ve ever really wanted to be in my life. The first was Peter Pan. He could fly, never grew up, and had sword fights with pirates. The second is Zoro. He could ride like the wind, was dashing and witty, and had sword fights with bad guys. 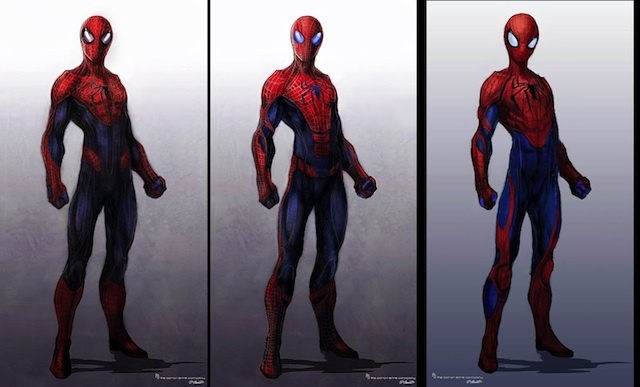 The last is Spider-Man. Spider-Man I really related to. We both started in the same place. Geeky, weak and unpopular. But he was transformed. He gained strength, speed, agility, without giving up the geek. In fact it allowed him to show more of himself. It gave him confidence for the inner smart arse to come out. To say all the things heâ€™d only every thought about before for fear of a beating. When I became a father I connected even more. I had suddenly been given a massive amount of power. I would play an enormous role in shaping this human being, this tiny bundle that would one day become a man that would interact with an almost unimaginable number of people in the future. Just as each of us do now. He couldnâ€™t even look after himself. I had the power of life and death, he needed me (and his mother of course) just to survive. That much power quickly reminded me of the primary message behind Spider-Man. We all know it by now â€œWith great power comes great responsibilityâ€. Before I can start crafting myself into Spider-Man, I need to define what Spider-Man is. There are two primary aspects to his abilities that make him what he is. The physical and the academic. Sure, his academic abilities were his before he became Spider-Man, but itâ€™s the combination of what Peter Parker was and the abilities given him from the spider bite that create who Spider-Man is. So, academically, heâ€™s an expert in his field. His field is Chemistry, specifically bio chemistry. Without those skills he would never have had the knowledge to create his webbing. He still would have been a hero of course, but he wouldnâ€™t have had half as much fun with it. According to the official â€œThe Amazing Spider-Man: The Ultimate Guideâ€, Spider-Man is able to lift nearly 10 ton. He has amazing speed and agility. He moves with â€œa fluid and casual grace that canâ€™t even be equaled by trained superathletes such as Captain America or Daredevilâ€. His reflexes â€œoperate up to 40 times faster than those of a normal personâ€. This is what I mean by functional strength. 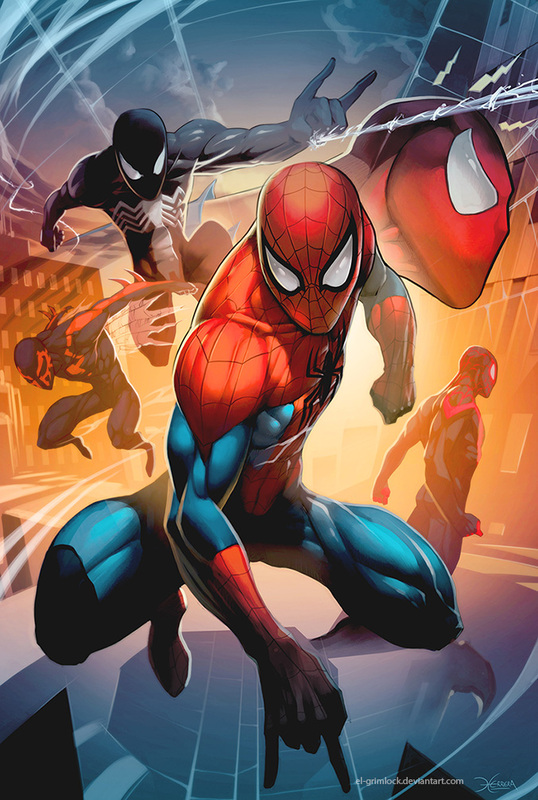 As the Ultimate Guide puts it, â€œWhile Spider-Man is hardly the strongest costume clad hero of all, the combination of his strength, speed and agility make him a match for almost any foeâ€. So now I need to define that in real world terms. Iâ€™m a geek, but Iâ€™m not delusional. Iâ€™m aware itâ€™s unlikely Iâ€™ll ever lift 10 ton or gain reflexes 40 times the norm. But I donâ€™t need to. What I need is functional fitness above the average mans. Strength that allows me to perform feats that most people would never believe they could do themselves, that I never thought I would be able to do. I need to improve my reflexes, agility, dexterity, athletics and acrobatics exponentially. And I need to become a master in my academic field. My radioactive spider was two fold, as you would imagine, since I need to bites two achieve my goals. Peter Parker was already an expert in his field, Iâ€™m not. The first spider came by the name Jon Ladyman. Heâ€™s an artist I met and befirended at college. In a discussion that grew from a chance comment (or as Stan Lee would probably say, fateful comment) Jon lent to me a book. A book that changed everything. Itâ€™s called Convict Conditioning. 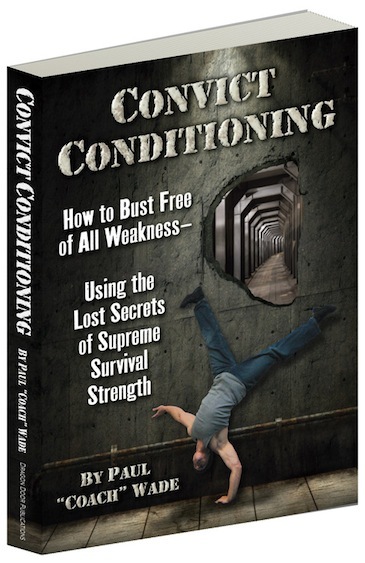 A fantastic book on progressional calisthenics. Old school calisthenics, like the Spartans, Greeks and Romans used. Like the strong men of the early 20th century used to bend steel bars and flex their way through chains. Using nothing but body weight and natural movements to gradually build functional strength. No artificial isolation of single muscles or muscle groups. With this, as the cover suggests, any person can work their way up to feats such as the mind blowing one handed hand stand push up, amongst other things. This was exactly the type of strength training I was looking for, right when I had started looking for it. Through Convict Conditioning I will build, not just strength to my muscles, but strength to my joints, strength to my nervous system, that fires the muscles I need. I will build flexibility, endurance, control. That covers some of his abilities. But it leaves Athletics, acrobatics and reflexes. Athletics I have already begun. That was what started this whole thing perhaps. I began the Couch to 5Km program. I finished that ahead of schedule and have been gradually building on it. Now Iâ€™m on the Couch to 10Km program (starting half way through of course). Acrobatics is a little tricky. My plan is to master each of the 6 movements in Convict Conditioning; The One Armed Push-Up, The One Armed Pull-Up, The Stand-To-Stand Bridge, The One Legged Bodyweight Squat, The Hanging Straight Leg Raise and The One Armed Hand-Stand Push-Up. Once I have done that, which may well take years, I will apply all that strength, power and agility to learning Parkour. This will give me the functional agility and acrobatics to move like Spider-Man. Reaction time can be improved by getting my hands on a Reaction Ball. A rubber, bouncy ball with â€œnodulesâ€ on it that make it bounce off in random directions. By doing alternate hand throws I can greatly increase my reaction time. Alternate hand throws are simply throwing a ball at a wall and catching it with the other hand, then throw it with that hand, and catch it with the first one again. There are two other things that have been mentioned on almost every site and article Iâ€™ve found on improving reaction speed. Running in the woods and playing video games. Well, I do one of those already. And since Iâ€™m already running, maybe a run through the bush isnâ€™t a bad idea. So thatâ€™s the physical side of things. It will take years to master it all, and after learning Parkour, Iâ€™d love to try my hand at some Capoeira, the brazilian martial arts that combines some elements of dance and music. Itâ€™s almost a standing, fighting form of Parkour. Now I need to adress the academic issue. My particular field is Programming. Specifically programming games. And my personal favourite speciality is artificial intelligence. Iâ€™m by no means the best programmer. Much of the low level understanding is a confusing mess to me. Iâ€™m more of a functional programmer. I want to be better than that. So I have a lot to learn. This leads me to my second spider. This one is nameless. I got this link from someone I follow on twitter, but I canâ€™t remember who it was now. Itâ€™s a fantastic article, written by a man who did all 33 courses in MITâ€™s famous computer science curriculum in 12 months. More than that, he did it on his own, online, watching videos of the lectures. This works out to about 1 whole course ever 1.5 weeks. The article describes what he calls the Drill Down technique. I intend to apply it gradually to various aspects of programming. My goal is to find some programming courses online for free and apply the same methodology to those. After gaining a much stronger understanding of the fundamentals of programming and computer systems, I will shift my attention to online courses on AI, which seem to be quite numerous actually. Now that I have defined what Spider-Man is, how that applies to me, and how Iâ€™m going to go about transforming myself into him, I just need to get a plan together. That will be a task for another night, probably tomorrow night. Iâ€™ll put together a training routine. Find a course, get the content, figure out where Iâ€™m going to find the time to learn it, and get started. I have no intention of doing courses in week and a half, I donâ€™t need to. I have years left in my life to become Spider-Man. I intend to progress slowly, naturally and safely. In august this year I am competing in Tough Mudder. For anyone who doesnâ€™t know what that is, itâ€™s a crazy, massive obstacle course originally designed by the British Special Forces to test and train their members. It now travels the world and draws massive crowds. There is mud, small spaces, barbed wire, electrified wire and around 20km of it. I expect to be in pretty good shape for this one. But when I do it again next year, Iâ€™m looking forward to being much more. In a few years time Iâ€™ll be at my peak strength- and power-wise. Then the Parkour training will begin and the course should get really fun. My favourite part is that they encourage camaraderie and team work. My two best mates will be joining me. 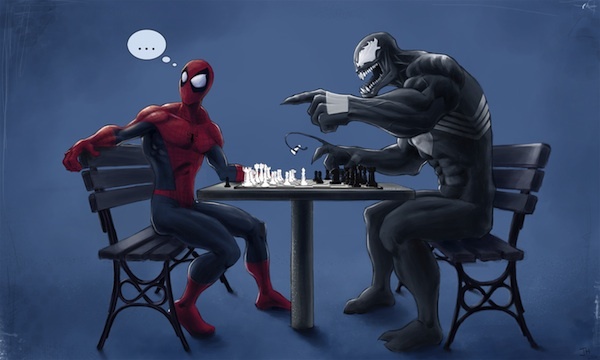 Spider-Man does love being a part of a team, even if only briefly before returning to the comfort of his geeky life. Iâ€™ll be posting pics of my progress soon, as I work my way through the Convict Conditioning. This will help others out there decide if the philosophy put forward by Paul Wade are bogus, or truly the lost art that shaped legends like the Spartans. 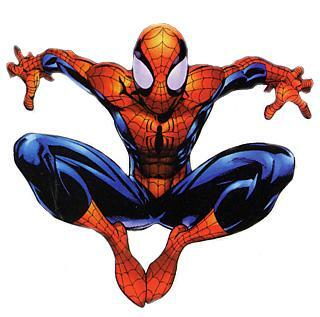 One day, ultimately, Iâ€™ll record a video of me doing Parkour through the streets of Manhattan in a Spider-Man costume. Yes. I know exactly how massively geek that is. Thatâ€™s what I love about it.